There is a major function that you are in charge of putting on and now you are in the thick of the planning stages. You have your keynote speaker, meal arrangements, decorations, and additional contributions to the event organized and mapped out. There is one element that is missing, the entertainment!! You have gone through your list of possibilities and you have decided to hire a magician. So now all you need to know is how to hire a local magician in the area where the event is being held. The type of function you are planning will help determine the area of focus that you will want the magician to have experience in when it comes to relating to the audience. If you are hosting a kids party, the magician will need to bring a form of entertainment that the kids will find intriguing and are willing to participate in. The right magician with the right experience can always make this happen. There are other types of events where a corporate magician can boost up the crowd with amazing illusions that can be catered to the specific audience or event at hand. Whether it is a birthday party, special event, an awards banquet, or convention the right magician can make the event a great one. The question is how do you hire a magician? 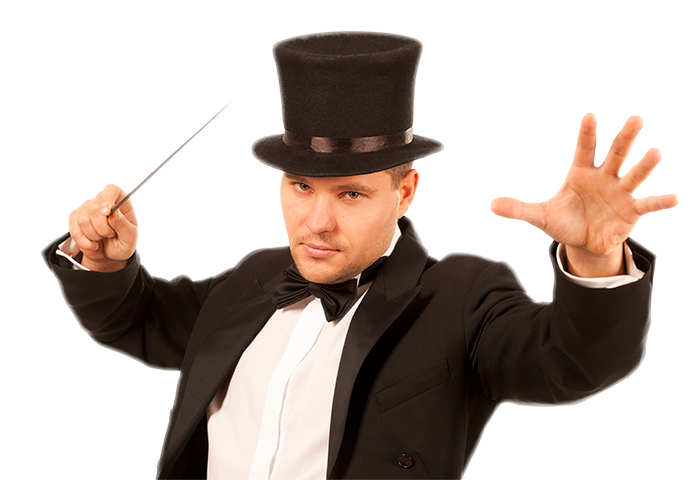 Who do you know that has used a magician at their event? Ask about their experience. It is very important to get a magician with the right personal touch for the event at hand. Getting a personal review can help narrow a few things down for you also. There is the local yellow pages as well as locally printed event booklets and newspapers that will possibly have a few magicians listed. If you are searching for a particular area, call up local event centers and see if there is anyone they can recommend. Another way of looking is to do a search on the internet. Magicians will have their information on their own website or they may be listed with a local entertainment organizations. There are also agencies out there that have a list of magicians in which you can book the magician via their service, website, or by contacting the company to book a particular magician. If you decide to book through an agency, the plus side of that is that they normally have more than one magician that can do the trick. When looking to hire a local magician be sure to talk to the magician directly. This will give you the opportunity to get a feel for their personality and they can explain first hand how they would address your audience. If you find that the magician is not open, expressive, and not willing to provide you with as much information as possible, then that magician may not have the attitude or professionalism you are looking for. It is important to find the magician that is able to relate to people even during an interview. Hopefully these simple ideas help in your quest for the perfect corporate entertainment for your special event!! If you want to make your event magical, we suggest that you hire a magician. This is true whether you are going to organize a wedding, corporate function, or kids’ party. There are a lot of magicians and each of them has their own specialties and styles. Therefore, it may take some time to hire the right one. Give below are some tips that may help you. Just like other types of hobbies, magic is a hobby. In the word, there are a lot of hobbyist magicians and some of them are very good at what they do. Some of them even have their own websites. So, if you want to make sure that everyone at the event will have a great time, we suggest that you choose a professional instead of an amateur. The type of magician you need depends upon your personal taste as well as the theme of the event. You can find magicians with good sense of humor and bright clothing. In the same way, there are some who are sophisticated, suave, mysterious or serious. So, it’s better that you decide on the type of entertainer you need. Based on what you prefer, you can go for either style or originality. Based on the performer’s experience, costs may vary. For instance, if you want to hire a popular performer, you should be ready to spend thousands of dollars on a full stage show. On the other hand, if you choose a hobbyist magician, you may manage with $100 or less. You can check out the websites of different magicians to get a pretty good idea of the cost. If you are going to organize a big business meeting, it’s a good idea to hire a professional as you can afford the cost. For a small event of kids, you can do with an amateur as well. This may save you a good deal of money. 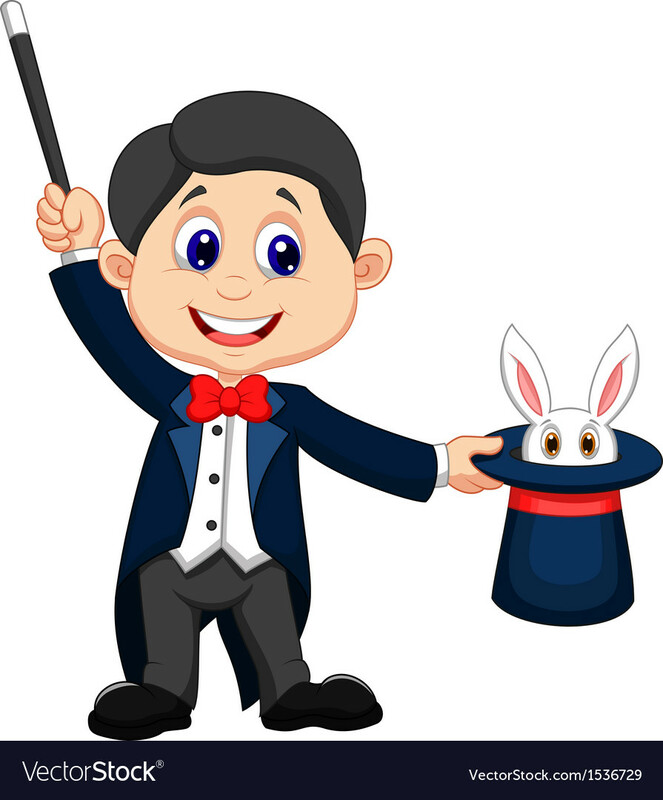 Before hiring a magician, make sure you ask them questions about their experience, tricks, testimonials and the type of magic they are going to perform. Some professionals can be watched performing at public shows or events. You may also find that some stay at local bars or restaurants. So, you can go there to experience their performance. You can also ask them for their promotional videos. When watching, what you need to consider is the magic tricks being performed and not the flash magic tricks that were done for the video camera. Therefore, it’s a lot better to attend a magic show so that you can get a better idea of what the professional can do for you if you hire them. Aside from this, at a real event, you will be able to see how people react to the tricks. 1 What do people want to see? Before you begin your journey it is important to consider what people want to see from a magician. Magic has recently become very popular in the public domain. As a magician myself I have benefitted from this as people have become very interested in magic, moreover in how it actually works. People have a certain expectation nowadays, but in reality flying through the air, or walking through a glass window may be something that remains good for television. Pure sleight of hand and skill which comes from practice and hard work will always get the thumbs up over tricks which are too good to believe. Magic is about sharing something special with others. It is a gift from the entertainer and one which needs to be executed in a confident and professional way. When you begin to learn magic it will be frustrating as it is not easy but over time, when things start to click you will begin to gain confidence and this will,show in your performances. Unfortunately there is no shortcut to becoming a great magician. If you want to be good at it then you must put in the work. You need to start with the basics, these will be the building blocks for becoming a great magician. This means studying hard and being determined to work through the difficult times. There are moves that are difficult to learn but perseverance will get you through. Magic is not only about showing people that you have a lot of skill. In order to really share your talent you need to get the audience involved. From personal experience there is nothing better than the magic happening on the audience’s hands. If you chose to be a close up magician, then let the spectators shuffle the cards, handle the props – get them involved. As a wedding entertainer I ensure all the guests are involved. If you decide to be a stage magician the it is extremely important that you get people up on stage. This will add to the overall experience as perceived from the audience and the magic will reach greater heights. Magic is always evolving, new effects are always popping up and if you don’t keep up with the latest effects and trends then your magic will become outdated. A great way to excel on your magic journey is to join online communities. There are forums where like minded people share ideas and help one another out. My number one recommendation is themagiccafe. On this site there are discussions about every type of magic imaginable, ranging from close up magic to grand stage illusions. It is important to build credibility on such websites however. It is frowned upon if you join the forums with the soul intention to exploit others to learn magic. It is about giving too. Many magicians find it useful to join drama and acting clubs to add to the theatrics of their performances. Moreover, attending such classes will help develop confidence and ultimately lead to a better performance. You will need criticism about your magic, it is the only way to improve. Perform magic for family and friends and ask them for their honest opinion. They will catch you out, they will perhaps doubt your expertise, but don’t let this discourage you. Use them to your advantage. When I started learning magic I took a deck of cards and some coins everywhere I went. I would perform and ask for their honest opinion. Based on the feedback I received I would then practice some more until I had a perfect handle on the trick. You are now hopefully confident in what you do, you can perform loads of tricks well and are ready to showcase your skills to the world. There is nothing stopping you now. You are ready for your first live performance. Offer to perform magic at a relatives christening or wedding for free. It will be invaluable for you. You will discover how your effects work on a live audience and this will give you feedback on your performance. Reflect upon your experiences and use them to your advantage. Eventually you will become more recognised and may even start to get some paid gigs. I perform now regularly as a wedding magician and birthday entertainer. Congratulations you are now a professional magician!